One thing is for certain, after all of our projects the last thing I wanted to modify in this platform was something that was not broken from the factory. The car even with an additional 85HP was more than capable on the street, autox and track with better tires (RS3) with stock suspension. So what made us tamper with the car further. Well the short answer is the Ohlins Road and Track Kit. Having experience with Ohlins dampers in several cars I had owned and know their motorsport history it seems like a no brainer, cost aside. However with the market place flooded with suspension kits would the Ohlins setup actually improve the vehicle? 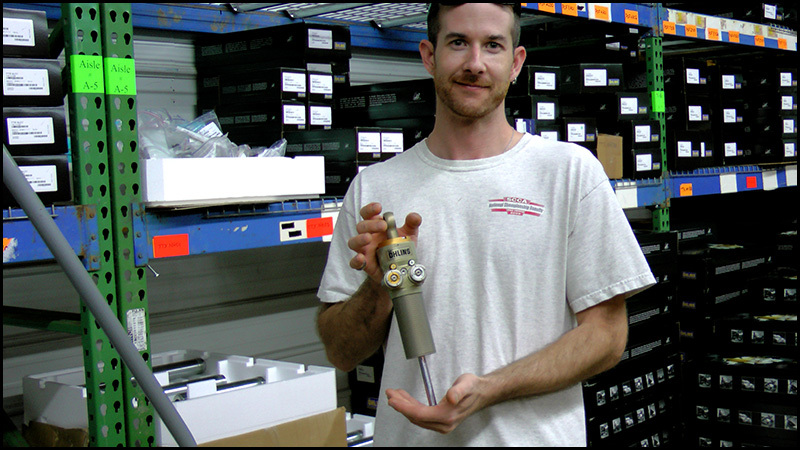 We contacted Jeff at Ohlins to set up the project and described our goals. Within a few weeks we scheduled the project and for the first time decided to also schedule a trip to see where our parts came from and what is involved in the development of the kit. We took delivery of the Road and Track setup, and as expected for the price point packaging was flawless including the build quality of the parts. These are beyond show quality parts. But the truth is any one can make coilovers look pretty today even at the $1000 price point. What we wanted was quality, support and zero install issues. Assembling all of the parts took less than 2 hours after triple checking the Swedish based instructions. They make sense but not exactly what you would call overtly clear. It required extra care reading the owners manual and separate setup guide to get all the info you needed. Full assembly only required hand tools and no spring compressor. The install day went nearly flawless, we used penetrating lube on all the parts hours before to make sure the the one year old rusty suspension parts came off without drama. The Ohlins Suspension was nearly a 5lb weight reduction over the OEM setup. and Fitment was about as perfect as it could get. We actually would say install time was about 3 hours total if you did not run into any issues. As we made our way to the back of the car and installed the shocks Turbowski noticed plenty of space when tightening down the lower shock bolt in the LCA to the shock. I blew it off but as it turns out I missed the bushing spacers at the bottom of the shock. Now when I say the instructions have all the information, they do. But I missed this step because the only place it mentions bushing spacers is in a picture that points to them. Since I assembled shocks ahead of time during install day, I missed the spacers. Bone head move which costs me replacement control arms and another day of removing and installing. Aside from that we had no other issues, adjusting the pre-load is just a matter of being diligent in measuring. Adjusting ride height is separate from pre-load which in our case was easy on some shocks and the others we had to unbolt to be able to spin to adjust. We had a nasty rear end clunk, sounded like a shock. Only started after install. It was impossible to re-created unless under load and quick unloading unloading of suspension. We called Jeff at Ohlins and they shipped a spare rear shock and top mount just in case. And we did more trouble shooting. Last step we disconnected the rear sway bar to test and it turns out we had a bad rear endlink because it was stripped out from the factory at the control arm. 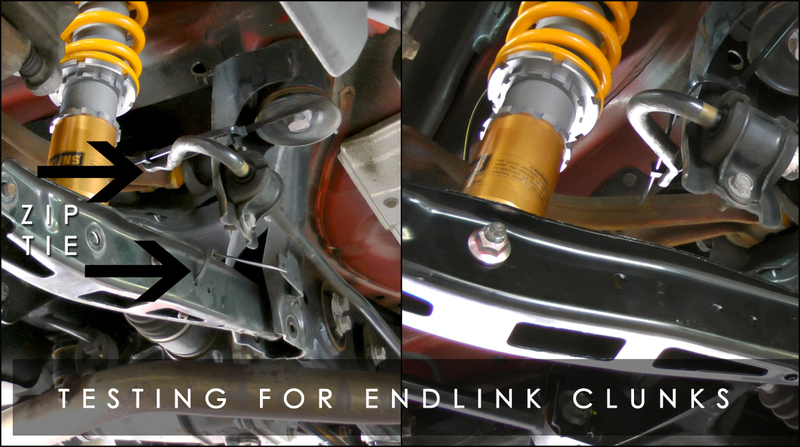 After replacing the endlinks and hardware, we had a silent install and shipped back the shock and mount to Ohlins. This is a sticky area for us and we are extremely picky about it given all the parts we have been dealing with. Quality instructions are everything in the aftermarket. While the Ohlins documentation has all of the details a potential engineer would appreciate, there are some typos and I would venture to say at least in the US market they should re-write a step by step guide for pre-install, install and post install checklists. It's not that the included instructions are bad, they provide plenty of info. It's just not as easy to follow as what we saw in the Perrin documentation or the documents from Essex. You can argue all day about who should be installing this kit, but if you want to sell to the street market you have to also have instructions that cover most of those users. The clickers are located on the bottom of the struts and access is easy from under the car. The rear adjuster knobs are at the top of the shock making adjustment easy from the trunk. We settled on 15 clicks front and 16 rear as the felt softer and superior to OEM. The truth of adjustable suspension is that everything that took 20 minutes to do before now takes at least 5 times as long if you are going to do a corner balance and alignment. As soon as you adjust the height on one corner it effects the corner weights everywhere else. The devil is in the details. Changing height will also effect camber and toe settings, so even making small adjustments require alignments every time. This is one of those well known ignored facts by most. We settled on a 10mm drop front and rear because anything more and we could not clear the lift or alignment racks on most industry standard setups. And for a street car we want practicality and not willing to sacrifice that for a lower drop or that cool factor so many pursue. 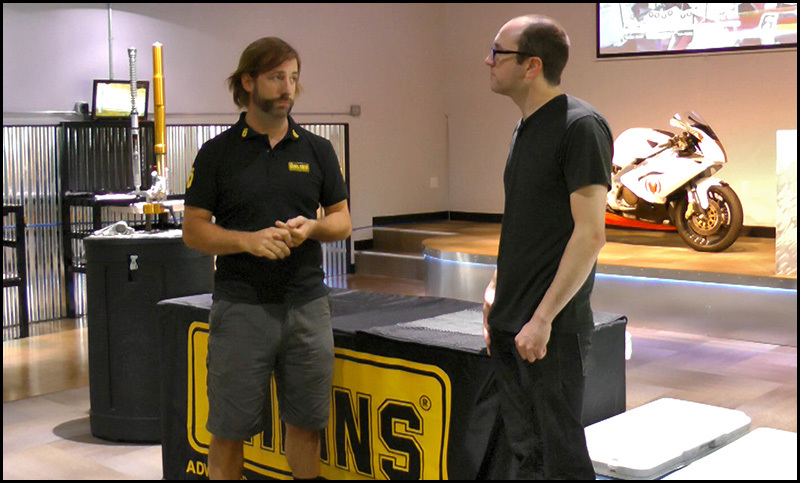 The following week we traveled 800 miles to North Carolina to interview Jeff Baucom of Ohlins. We will leave the details of that for video viewing. But needless to say, Ohlins is certainly a motorsport company first. Their bread and butter is not street cars it is a small part of their business. So it was interesting to see how racing trickled down into these parts. At the end of the day they are not out to sell high volumes of these kits, they have no interest in volume. 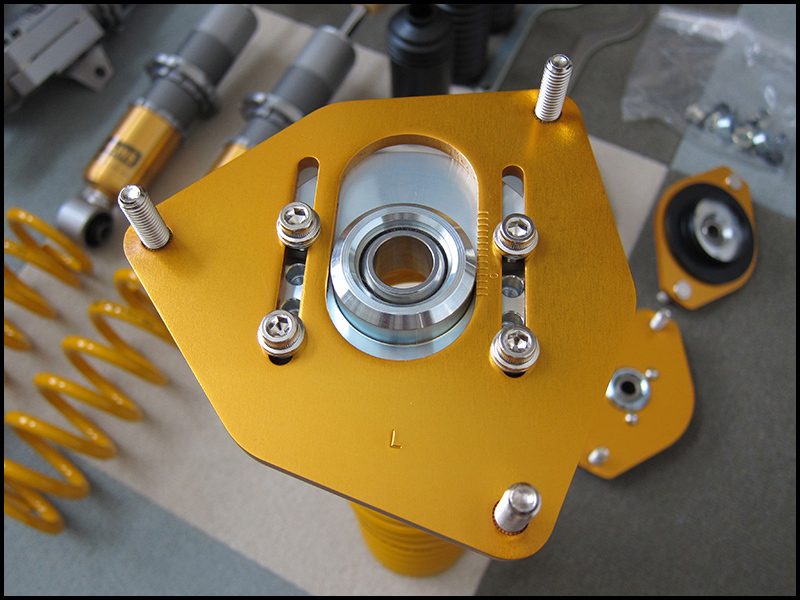 They goal is quality first and foremost and that is why Ohlins suspension maintains that higher price point. The car at nearly full soft on the street including poor pavement is much smoother than stock. Ride is more compliant and larger impacts are controlled and less jarring. The stiff range of adjustment leaves overhead for most all track types including very uneven surfaces. The fact that you can swap in higher spring rates with these dampers for those who need more control allow for that higher flexibility for track day only cars. 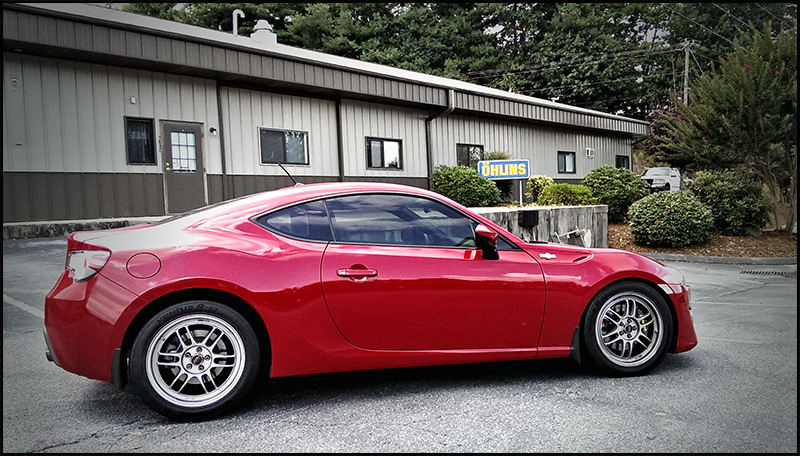 But for 95% of FRS/BRZ owners this suspension will handle almost anything you can throw at it street or track. 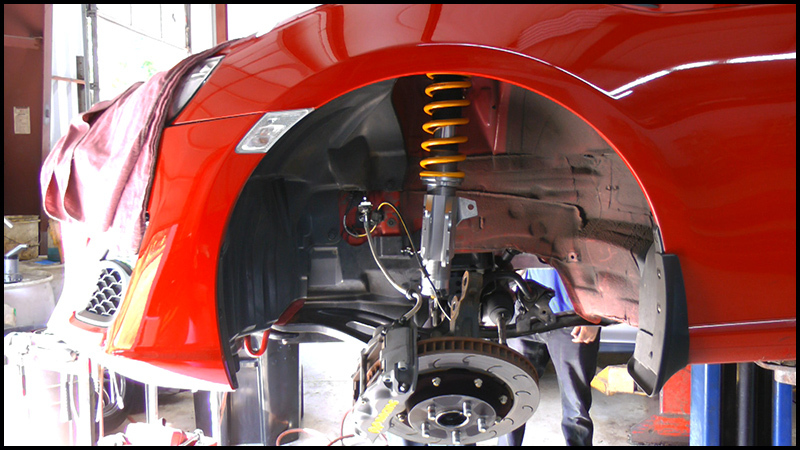 Unlike many import coil overs you have factory USA support and full warranty and rebuilding facilities, no BS, no drama. I can call Ohlins today and have my shocks rebuilt or re-valved in a week and back to me. The Ohlins kit performs this function by delivering the ride quality that can handle both with almost no compromise for 95% of owners. This is a product developed by a company whose focus has been motorsport and not just Johnny weekend warrior. They support the very highest ends of Moto and Auto racing from F1 to MotoGP. This kit is their attempt at taking all that engineering and using it to make a better damper for street cars, knowing 100% street cars will almost never be a race car including the FRS and BRZ. Now the real question is what is that worth to most owners of a 25k car? Last edited by Dezoris; 01-02-2014 at 01:32 PM. This is a long video, I understand but wanted to include most of the interview section without splitting it into parts. I understand there are flaws and problems with editing and more but the truth is this is a hobby for our FRS project and not a job. Can't wait to get off work to watch this!!! Worth every penny to me on my car! And if I had the time I'd happily drive across the country (3k+ miles one way) to visit their facility too! And have shocks rebuilt and return home on the same trip! How much are these and what are the included spring rates? Thanks which is about 350lb rates front and rear. The Euro version of the kit has higher spring rates. As far as price there is margin built in so contact dealers for better pricing. I wont really promote or comment on vendors for this. Great write up, I was curious what endlinks did you end up going with? Given the drop of 10mm we kept oem links due to minimal preload issues. Also the more quality adjustable links all have spherical bearings which wont hold up in a winter. I just finished watching every minute of this video and it's fantastic. Thanks for making it so entertaining and informative. Another quality video...funny, informative and critically approached. Thank you for the time and effort and sharing this with all. When your first video came out I'll admit I was a bit put off by your approach, and your unkind words about the car. I was still in a honeymoon phase with my car and the blasphemous words spewing forth were from none other than the devil himself. Now I see a new post from you and know that I'm going to get it straight, with high quality editing and reviews. It's been a journey for me with this car and I'm glad that I've got to watch your progress along the way. Thanks for all the vid's so far, looking forward to more. This. Great video (great series of videos, really).